This is the first time I have used this sort of service to send a parcel to New Zealand,following loss by parcel force in a previous year. This service was much quicker,arrived on time complete and undamaged. will certainly use them again without hesitation, and they were a third cheaper than parcel force. Problems sending personal effects to New Zealand? I got a quote from Courierpoint for sending a 20 kg box to NZ. The pick up went very well. FedEx didn't notice that the contents were personal effects until it got to the depot. Then they phoned me to say that because of quarantine regulations, they couldn't deliver personal effects to NZ. FedEx sent the consignment back and Courierpoint refunded me in full. The day after first posting this review, Courierpoint phoned me and found a courier which will take personal effects to NZ. That was a fine example of good customer service. I'll let you know how the next attempt goes when it is completed. From start to finish, collection to delivery the service was professional and fast. Collected on Thursday afternoon, delivered in New Zealand the following Monday. What more could you ask for. Parcel of gifts to family in NZ. Arrived within 4 days, carried by FedEx. Tip - always make sure that customs info is fully completed. Excellent service. My first time of using Courierpoint.com to send a parcel to family in New Zealand, so like anyone, was a little bit worried. Paid, and arranged for pick up online via Courierier.point.com. 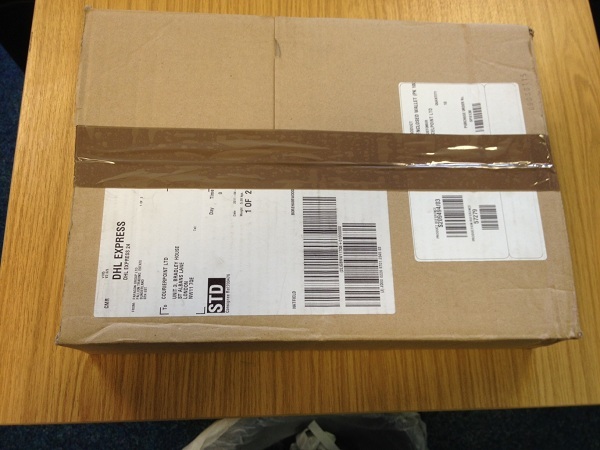 Fedex collected parcel at 5.00pm on a Wednesday - polite reassuring courier that collected. Tracked on-line (only little fault here) .... tracking on-line got 'stuck' at Poyle GB, but after reassuring phonecall to Fedex was assured parcel was on the plane. Was shocked (but nicely shocked) when family in NZ phoned less than 4 days later to say the parcel had arrived, safely. No damage, no problems, followed up by confirmation email from Courierpoint.com to say parcel had been delivered and signed for. Fantastic service. Couldn't have delivered it quicker if I had taken it on the plane myself!! WELL DONE COURIERPOINT.COM and FEDEX. Will definitely be using them again .... and ...... 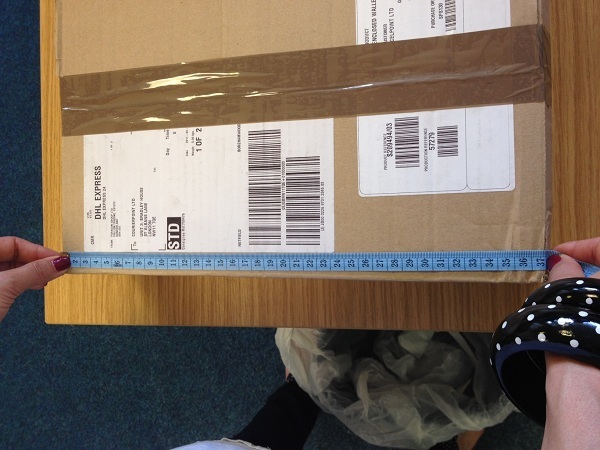 It was half the cost of sending this parcel via Royal mail and other couriers. What can I say these guys are great, easy to use website made it very painless to consign my box, and also offered the best price to New Zealand to suit my needs. I would use them again in the future without hesitation. Well done to everyone at Courierpoint and many thanks for the great service you offer. Super quick and efficient service. Having never used this service to send things to my son in New Zealand, I was very anxious. However, as soon as the courier came to my door to pick up the package, I was reassured. He answered all my questions and gave me tips for the future. In New Zealand, the package was held up by customs overnight, but it was the courier service who helped my son through the paperwork. I won't hesitate to use this service every time. I was a little apprehensive about sending the package because I didn't want any damage happening to it and wasn't sure on how well parcels are handled. The parcel was picked up about an hour after completing the request, the courier was frinedly and professional and I felt happy that it was on it's way. It arrived 3 days later - a fantastic service. I was amazed it only took three days to go door to door from Bradford, West Yorkshire to New Zealand. Arrived safely. I would recommend Courierpoint without a doubt to anyone wanting to send packages abroad. I didn't choose fast track either as there wasn't a need for it to arrive by a certain time. Price was reasonable and competative. As a first experience of sending 2 boxes of xmas presents to New Zealand, I was really uncertain about the whole procedure. I consulted courierpoint web site and was confused that it said the parcel should be left open for the driver to inspect if necessary and that the only label should be the carrier's. I phoned for advice but this was not really helpful. After twice consulting colleagues the young lady told me that the driver may want to see the contents. I was sure that the driver wouldnt have time to wait for me to reseal the boxes so I sealed them up. I was given a collection time and the driver phoned me twice. He was clearly pushed for time and tried to reschedule for the next day. I wasnt happy with this so he did arrive in the afternoon. There was no way he would wait for me to seal up packages as I was advised on the phone. Once the parcels were collected I was then able to track online. This system was excellent, I knew exactly where they were and when the delivery was made. I'm afraid it was the office end that let this service down. I was inexperienced and needed clear advice which I didnt get. The courier called me to say he was nearby, knew the site already where the parcel was picked up from, the pick up was the next day and the parcel got delivered to my sister's door in New Zealand in under 4 days - including the weekend. If you can do better than that, you must have a time machine. Would like to say a big thank you for delivering my parcel. Got to New Zealand in three days and delighted as a birthday present and wanted it there on time. Took a chance and so glad I did. Will definetly use the service again. I normally use Royal Mail. Never again!!!!!!!!!! Halfway round the world in less than a week....................thats fast! Read various reviews before going with Couierpoint.com as we'd only ever used the Red One before. Excellent service from the start, it was cheaper, easier and faster than any parcel we've sent before, we tracked its progress to New Zealand and our Son confirmed delivery all within a week. We'll be using Courierpoint.com again and again. If you need to send parcels round the world like us, then do yourself a favour and use Courierpoint.com. SPEECHLESS & STILL LOST FOR WORDS!! Collected 13/8/2012 at 13.30 in Northumberland. DELIVERED 16/8/2012 04.30 in NEW ZEALAND, to an address which is over 5 hours by road from the Airport. I must add that these timings include a hold-up in NZ customs clearance. The price was also the cheapest I could find. I am knocked out by the service and will be using again in a couple of weeks time. Amazing and very well done. Thank you all, including the great Fedex collection driver. The process couldn't have been simpler and the package arrived swiftly and safely in New Zealand. Highly recommended. 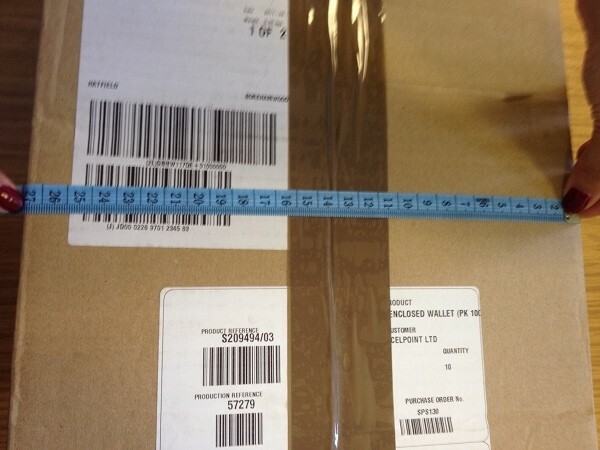 Simply go to our web-site www.courierpoint.com and then put all the details of your parcel; the weight not maximum than 60 kgs and dimension not more than 115 x 75 x 75 cms. 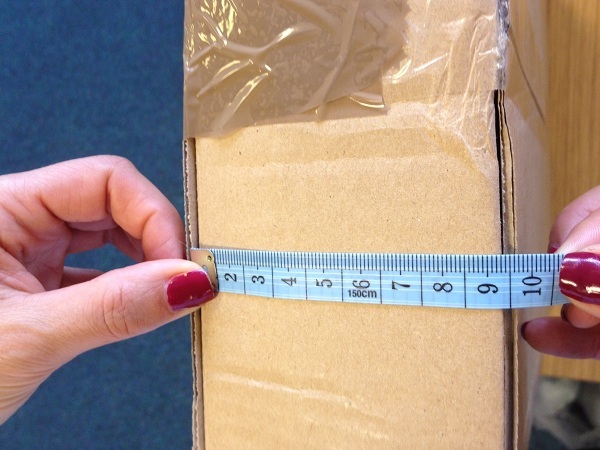 Also ensure that your parcels are packed properly (hard box and bubble wrap) to create any hassle for the carrier to carry parcel. This will also not have a disappointment for the receiver. Next step would be to print the labels from our web-site with the invoice since the parcel is going to a place, which is outside EU. Don’t forget that to read about the types of invoices (Commercial or Pro-forma) you will need to put on your parcel on our web-site FAQ’s. Once you have all these ready you have print them and put on the parcel and wait for the driver. The carriers can be there anytime between 9:00 am till 5:30 pm. You can track your parcels online by just going on our web-site; putting your parcel number (Air Waybill number). If you have any further questions fell free to contact our London office at 020 8731 8653. Our friendly customer’s service will help you sort your problems in just few minutes. You can also read more about our services from our own happy customers.